Completing this form does NOT secure you a spot in any Fall playing league. It is only the first step. 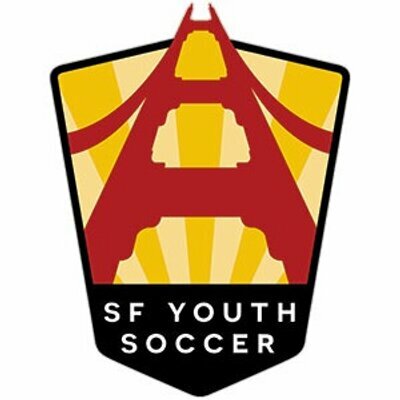 Your responses below declaring your Intent to Play in one of SFYS' house leagues (SFYS Recreational or SF Competitive Upper House) or the CalNorth CCSL Coast & Bay Travel League are necessary for us to prep the required registration systems and meet compliance requirements. I understand that completing this form is only the first step in the registration process for Fall 2019. I understand my team must be in good standing (any outstanding fees from last season must be cleared). I understand that there are federal, state, city, insurance and SFYS requirements that must be met before a team is considered registered. I understand that my roster of players must be unique and that players may only register on one SFYS, CalNorth or US Club team. No dual rostering for league play. I understand that there are multiple requirements for Team Staff and that no one may view the roster until they have registered in the league systems and been background cleared. I understand that ALL Coaches must have min. Grassroots licensing + SFYS Field Training, SafeSport and Concussion Certified in order to coach. I understand that ALL TEAMS must have a unique parent/guardian Team Voting Rep and a volunteer Team STAR in order to participate in SFYS Leagues. I understand that min. roster team registration must be complete by posted deadlines to avoid non-refundable team fees. I understand that my team may have no more that 2 non-San Francisco residents in order to be eligible for SF practice and home game fields. Recreational teams are school grade-based and Competitive teams follow the US Soccer standard of divisions by birth year. Determine your team Fall Playing Age Group based on the FALL grade or age of the oldest player on your team. This means that if most of your players are in 2nd grade come Fall, but one will be in 3rd grade, your Rec team will be playing in the 3rd grade age group. Competitive teams should have a roster of players all with the same birth year (though younger players are permitted to roster on an older team). Reminder: SFYS doesn't run specific coed brackets, so mixed gender teams will play in the boys' flights. Teams are not guaranteed any name, even if they are returning. First come, first served. the team during the registration and pre-season process. all the behind-the-scenes coordination and communication. We have a different (or additional) Team Manager listed below. coach multiple teams, s/he may only be Head Coach on two teams. The Head Coach has not yet been determined for this team. Our Head Coach is listed below. This person must be a parent or guardian of a player on the team. will not be bracketed or scheduled. Our team already has a designated Team Voting Representative. I understand that I must declare a Team Voting Representative by the Fall Registration deadline. I understand that I must declare a Team STAR by the Fall Registration deadline. I understand that ALL Team Staff (Team Mgrs, Head & Asst. Coaches, Trainers) must have proof of background clearance in our systems before the team can be scheduled or participate in SFYS league play. I understand that ALL Coaches (head and assistant) must be credentialed (US Soccer Grassroots 7v7, 9v9 or 11v11 and have attended a SFYS field training session) before running practice sessions or coaching in our house leagues. I understand that SFYS will enforce the CA state requirement for review and acknowledgement of CDC Concussion protocols before the team will be considered registered and eligible to participate in SFYS leagues. I understand that SFYS will enforce the Federal reporting requirements as legislated in the Protecting Young Victims from Sexual Abuse and Safe Sport Authorization Act of 2017. I understand that there will be additional information to gather from my team, re: scheduling and school conflicts and I agree to coordinate with my team in advance of making practice field requests or game bye requests. I understand that the total number of games will be determined based on teams in each flight and may be impacted by bye requests. I understand that we must play our scheduled matches with at least the minimum required number of players. Failure to do so will result in a Forfeit, subject to fines. I understand that each team carries a $300 Team Fee which will be waived if we are able to register at least our minimum number of players by the deadlines stated. I understand that if my team fails to meet the minimum roster and registration deadlines, that the $300 non-refundable team fee will not be waived, nor will my team be guaranteed a slot to play in Fall. I understand that it is my team or club's responsibility to keep players informed if the team will not meet the minimum roster requirement and facilitate alternate placement (not leave a player stranded without a team). Yes - please include me in all forthcoming Jamboree correspondence. No - we are not available or not interested.